Ready to get the stuff done that you are avoiding? 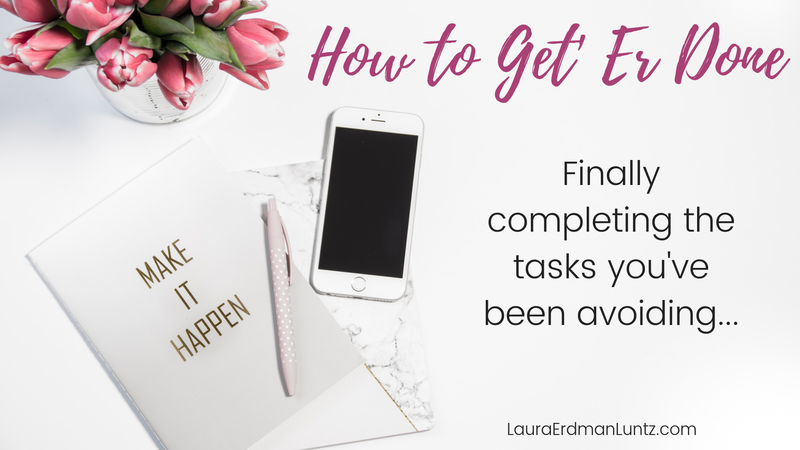 We all have those tasks that live perennially on our to do list, living in the back of our mind, wearing us down because we know we need to get it done. It might be something little (and you can’t figure out why you don’t get ‘er done) OR it could be a step you want to take to bring your life to the next level (and it’s simply too scary to do it). So let’s talk about how to get ‘er done! Enjoy this quick summary I did on this technique. 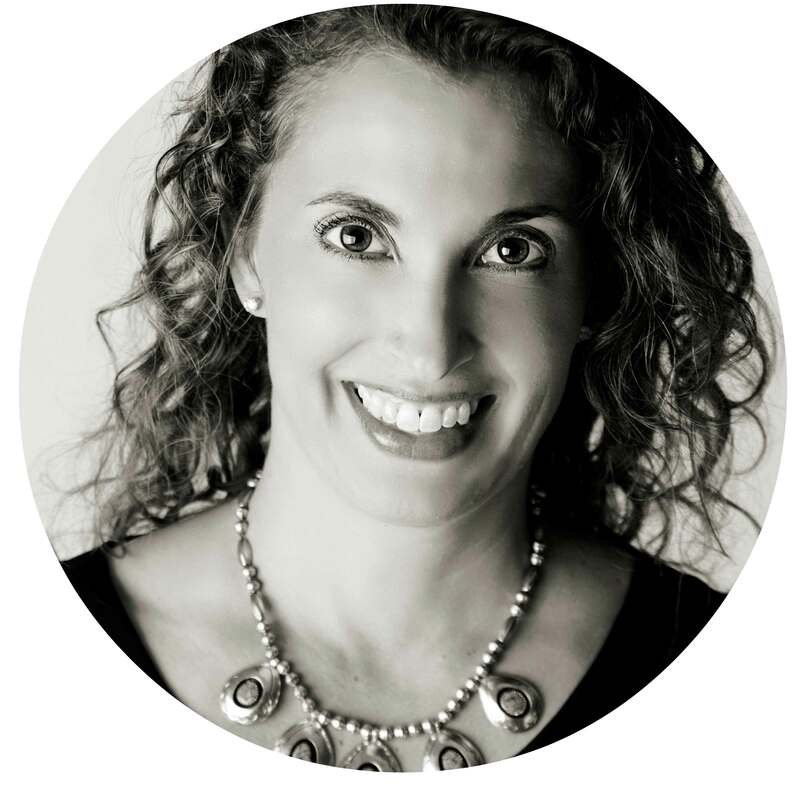 Bookending is a technique for helping us push through resistance to get ‘er done! The essence of bookending is to do something before and after the action to help you complete the action. Before the action, you will do things that get your energy and vibration up so the action is easier. Then afterward you do something that will replenish your energy. 1. Think of why you are doing it. Really, the foundation of why we want to do anything always comes down to how we think we are going to feel when we have completed what we want to do. So what is the feeling? Get excited about that feeling — it will help pull you through! 2. How big is this task…for you? Think about how long you have put it off and what it will represent when you are on the other side. It doesn’t matter how stupidly little it would seem to others, what matters is what it is for you. I once had a CEO of a large corporation hire me as a Life Coach to help him clean off his desk. Easy, right? The clutter wasn’t just pieces of paper that needed filing, it was noise that kept him from having to be quiet with his thoughts which were consumed with worry over his marriage. Keeping his desk cluttered kept him from having to look within and make some hard decisions. While your avoidance may simply be a belief around time issues (the age-old “I don’t have enough time…”), there is quite often a deeper reason and it might take a bit more to prepare to take action. It’s okay to honor the amount of time you need! I usually find that the longer you have put something off, the bigger the reason of avoidance. It takes energy to take your action. Our brains are literally wired to maintain the status quo. If you have a history of procrastinating on this task, it will take a bit of acceleration to move. To take ourselves onto another path, we need energy. Think of how much more productive you are when you are well-rested, are eating well, well-hydrated, working out, etc. 2. Getting your vibration up so you feel good enough to take action. Getting your vibration up will help you feel like you can do it, you deserve it, it’s easy. If you aren’t familiar with what “vibration” or “frequency” is, think of it as how good you feel. The better we feel, the more capable we are of doing hard things. AND we can intentionally help ourselves feel better with specific actions. However you decide to see it, realize it always comes down to feeling big. When we avoid something, regardless of the reason, we feel smaller. What is smaller is our energy, our life force or prana. Think of the term “shrinking in fear”. It isn’t us shrinking physically, it’s drawing our energy in and letting it feel smaller. We can counter it with lots of things that help us feel bigger. The bigger we feel, the more powerful we will be to do what we need to do. We all have a set point for as big as we are comfortable being. That “bigness” represents how good we allow life to be. We keep ourselves in a size that allows us to feel safe, although ironically it probably isn’t what you really want. The yoga series I share with you here will help you feel bigger. Doing the series I share with you here will help you grow your energy in a simple way. Done regularly, that “larger” feeling will become your norm! Then you will begin to be able to take the hard actions more easily. And you will work on begin even bigger…and working on even bigger things! That said, here is the yoga session for you as well as essential oils I recommenf. So, let’s get you feeling BIG! This yoga series will give you the surge of energy you need to take action in the moment. Done regularly, it will help you feel bigger…and bigger…and bigger! (Yoga starts at 3:30). Young Living Highest Potential: Potent blend to help you take your life to the next place. Young Living Peppermint: Best burst of energy oil ever! Step one: How much time do you need? Think of how much time you need to get ready. I have tasks that just take about 5 min to get pumped up and others that I need a day to get the vibe up or even a month or more. Schedule in the time you need. Actually write it in your calendar….yes, now. Step two: Decide what to do. Create a list. Yep, I mean it. List out what you will do to prepare for your action. Just before the action, enjoy the yoga series I shared with you. If the action you need to take is really scary, do this series regularly for as long as you need to. The bigger you feel, the easier the action will be. 1. You will be hyped up on adrenaline and feel amazing! Aaaannndddd that usually ends in a crash. When we crash like that, we aren’t aware enough to do something good for ourselves and tend to reach for our unconscious ways of numbing ourselves: sugar, vegging on Netflix, being mindless. Those steps won’t replete you. At best they will numb you and at worst and may even drain you more. When we are intentional with a repletion plan, we are able to refill and keep our vibration up so we can keep moving forward. Having a repletion plan of delicious activity in place before you begin will help you refill AND it will give you a reward for your action, too. Again, be mindful of the action you are taking. The bigger the action, the more time it will take so alot for it in your schedule. Get fresh air – I love going for a walk and breathing deeply. Whatever you choose, it needs to be what fills YOU up. Pay attention. Everyone is a bit different and what you THINK should fill you up, might not be what you really need. Life is about moving forward. While feeling stuck is often part of the process, we don’t have to let us slow us down. Decide now you are moving forward with at least ONE thing on your list! I can’t wait to hear what tasks you are taking action on!